NorthWestern Energy closed on the previously announced $900 million purchase of eleven hydroelectric facilities representing 633 MW of capacity and one storage reservoir from PPL Montana. NorthWestern previously announced the issuance of equity and debt securities to finance the acquisition from PPL Montana. PPL Montana has agreed to sell its hydroelectric facilities to NorthWestern Energy. Montana Public Service Commission voted to prepare an order approving NorthWestern Energy's request to purchase the facilities. The agreement includes PPL Montana's 11 hydroelectric power plants, which have a combined generating capacity of more than 630 MW, as well as the company's Hebgen Lake reservoir. PPL Montana and NorthWestern have secured required approvals from FERC, as well as the necessary clearance from the antitrust enforcement agencies. NorthWestern Energy issued a request for proposals (RFP) seeking energy supply resources to serve Montana customers beginning in 2014. NorthWestern Energy is seeking up to 100 MW of firm supply from Jan. 1, 2015 through Dec. 31, 2017 at Mid-C or on NorthWestern’s system and up to 300 MW of firm supply for the period of July 1, 2014 through Dec. Discerning what utility employees consider important. 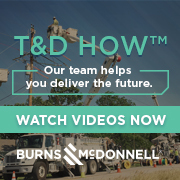 Despite high unemployment rates in many industries, utilities are finding T&D technicians and engineers are in short supply. This situation is likely to deteriorate as Baby Boom-era workers continue retiring. Attracting and retaining qualified professionals depends on understanding what motivates—and de-motivates—employees on the front lines of the smart grid revolution. Xcel Energy names new president and COO; Pacific Gas and Electric adds new senior v.p. and chief information officer; NorthWestern Energy appoints new members to executive management team; plus senior staff changes at Constellation Energy, Alliant Energy, GDF SUEZ, and others.